42dev shop is a modern web shop system developed in Laravel with a responsive HTML5 front end. You can set up different product categories and individual products with descriptions and product photos. There are different settings available to style the visual appearance and define payment and shipping methods. 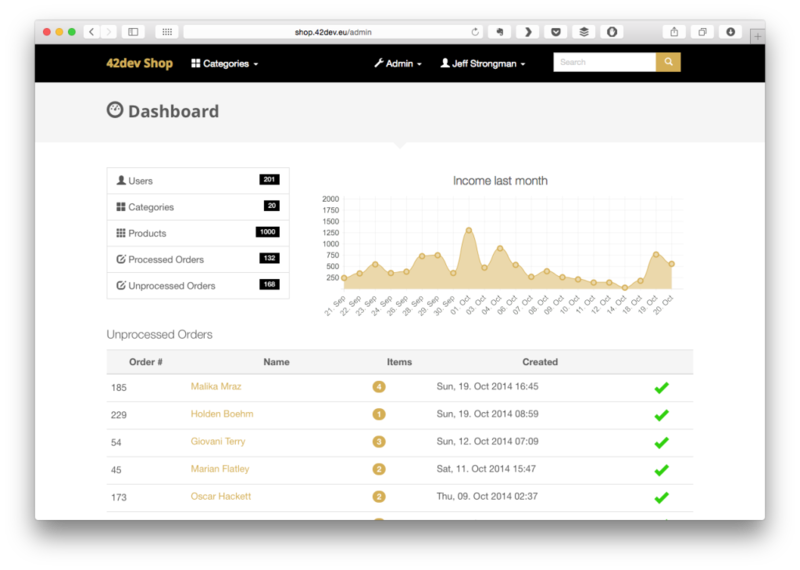 If you’d like to set up your own web shop with 42dev shop, please contact with me via my company page.